The second-year athletic director said she felt bad for players and staff after the Huskies’ first loss of the season, was “extremely disappointed” in ESPN’s broadcast of their win over Cal the previous week and is “super empathetic” with fans who don’t like late kickoff times. If you took Saturday’s loss to Arizona State hard as a Husky fan, imagine how Jen Cohen felt as that ghoulish game unfolded in the desert. Washington’s second-year athletic director wandered around the stadium, as she is prone to do. She calls herself “a nightmare” during games, particularly ones not going so well. Cohen found herself, at various times, on the Sun Devil Stadium field, in her suite and visiting with donors, unable to stay put as the upset unfolded. Cohen found herself fighting to curb her emotions, and not for the first time in recent weeks. And not, she says, because of what the defeat meant for Washington’s business model, but for the personal toll she knew it would take on players and staff. So she worked to maintain an even keel. A week earlier, Cohen had to ponder those words to summon restraint in a similar fashion. During the course of Washington’s rout of Cal, she began getting text messages expressing indignation about ESPN’s broadcast, and the broadsides they were taking at Petersen and the Huskies. When she got home and watched for herself, Cohen had to bite her lip to keep from saying something she would regret. “That’s not what a leader does when they’re representing a university as classy as this university is,” she said. A week later, Cohen allowed that she was “extremely disappointed” in the tone of the broadcast and seemed particularly irked at the use of cupcakes to depict Washington’s nonconference opponents. The good news, Cohen says, is that she got a phone call last week from Peter Derzis, ESPN’s senior vice president of college sports programming and events (and a former college associate athletic director), offering an apology, as well as assurance that it had been dealt with and wouldn’t happen again. 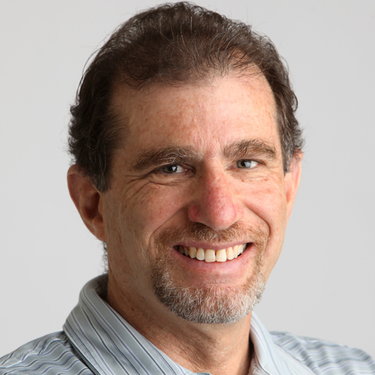 Moments before I met with Cohen, the Pac-12 sent out word that UW’s home game with UCLA on Oct. 28 would start at 12:30 p.m. — an announcement, she said, that caused impromptu applause to ripple through the athletic-department offices. 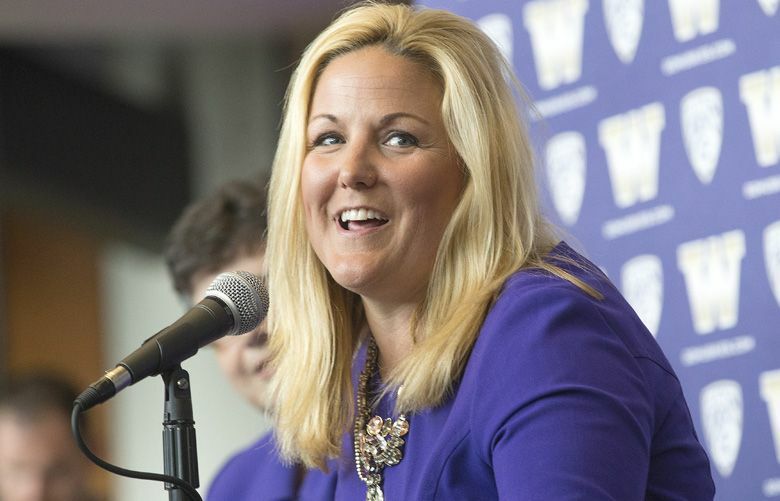 Cohen said she is “super empathetic” with Husky fans who don’t like the late starts — a group that includes her father — but she also recognizes that the Pac-12 television deal has led to greater revenue and increased exposure, as it was intended to do. The bottom line is that there’s really nothing that can be done until the contract expires, so there’s really no avenue to assuage the complaints. “I’m a leader that’s about making change in places that we can make change,” she said. “And at this point in time, there’s not a lot of influence we have at the school level to create that change. And quite frankly, there isn’t a simple answer to fix it to begin with. That makes it hard to forecast what the next television contract might bring for the Pac-12. In fact, Cohen said, the only thing as complicated as navigating television deals is scheduling, which has to be done years in advance. That can lead to unexpected consequences. Case in point: The Huskies scheduled Rutgers when they were a rising national team, only to have them fall to also-ran status by the time they played their series in 2016-17, thus buttressing the “cupcake” narrative. And Wisconsin backed out of a series that was originally scheduled for 2017-18, then backed out again after it was changed to 2018 and 2021. Cohen added that the discussion on the flight to Phoenix for the Arizona State game was about the need to get more Power-5 series done right now to bolster the schedule down the road. UW has a series scheduled with Michigan in 2020 and 2021, though there have been rumblings that the Wolverines would like to get out of that commitment. “As far as I know, we’re planning on playing Michigan, and I think it would be just a huge disservice to both programs, their fans, their student-athletes, their alumni bases, to take two storied programs that have had a commitment for a long time that are both battling in high standings within college football, and cancel that series,” she said. “So we’re expecting to play it. One challenge facing the Huskies in scheduling is that many schools they contact aren’t interested in coming to Seattle, where they might not be recruiting or have an alumni base. It’s too early to tell, Cohen said, if the Arizona State loss will cost the Huskies a berth in the College Football Playoff. Channeling Petersen, she said everyone at UW is focused on beating UCLA, not on the debate over whether a one-loss Husky team is toast. “Chris Petersen is the best of the best at getting the most of his players and getting them ready,” she said. “We’re process people here. You lose a game like that, it was so frustrating, it was so hard to watch, and yet, here we are, the sun came up the next day, and we’re ready to compete again.